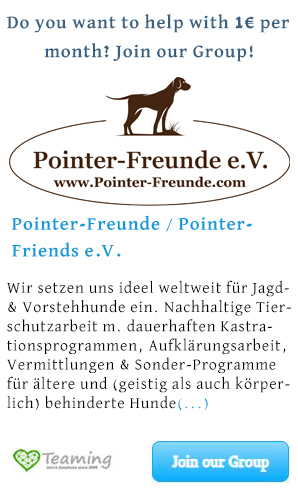 JULIE, Labrador, born 10/2017 - Pointer-Freunde e.V. 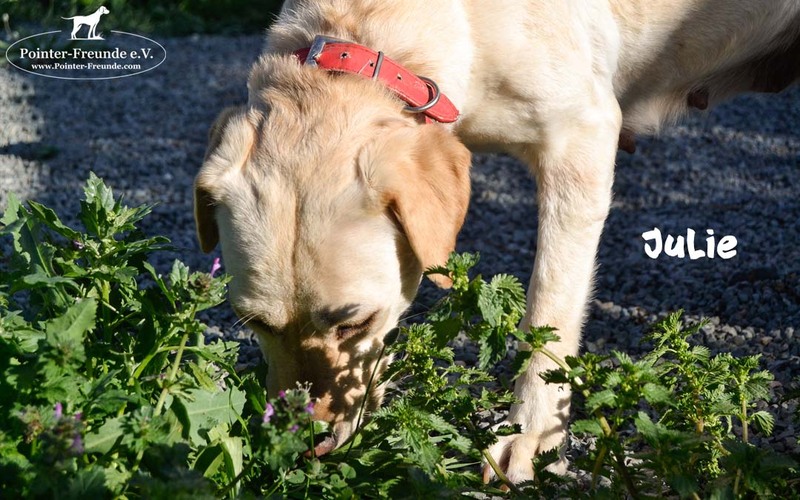 Our two puppies (Sherlock) HOLMES and his brother (Dr.) WATSON are two siblings being “left over” from a litter of 4. 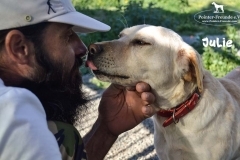 They were born with their Cypriot owner, who didn’t spay his dog. We offered to take them and spay the mum, who is JULIE. 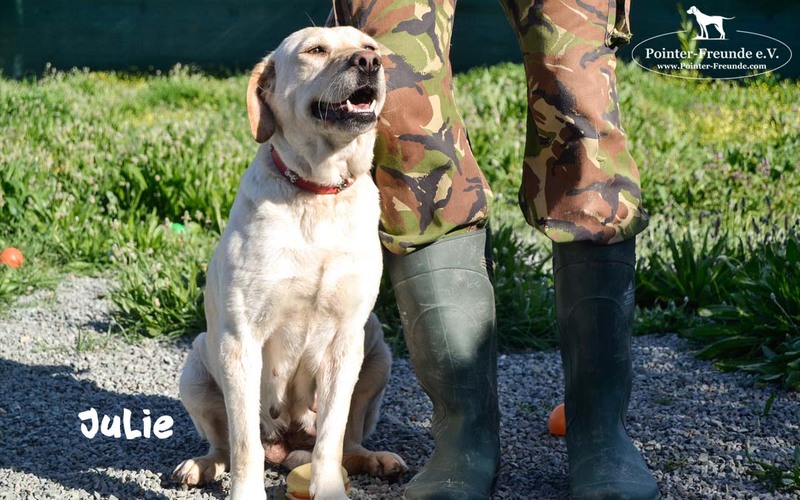 So here she is now: An adorable young labrador female, who is already a mum, but now needs her own family to be cared of like she deserves it. 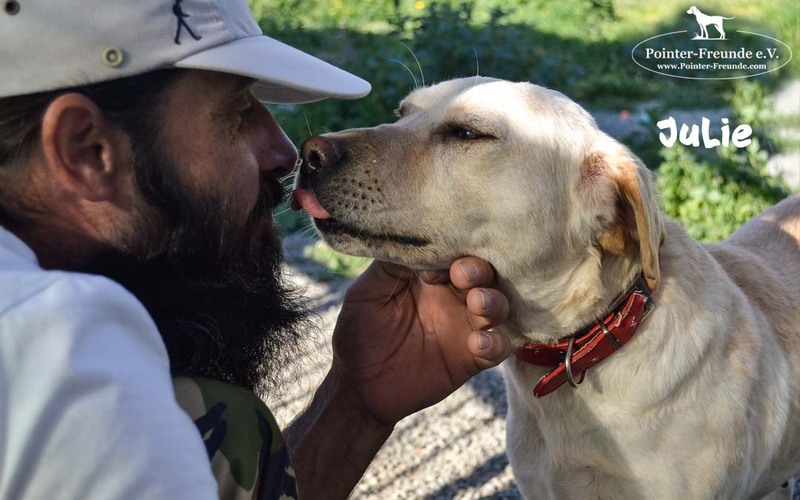 She is such a lovely nature, good with other dogs, good with kids. She knows cats already and doesn’t care about them. 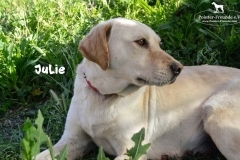 JULIE can travel anytime – as she has her EU-Passport, is chiped, vaccinated incl. rabies, dewormed and deflead. 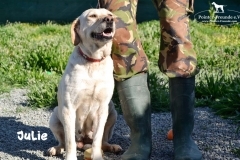 She will be given through our charity Pointer-Friends with an adoption package and an adoption fee incl. travel costs. 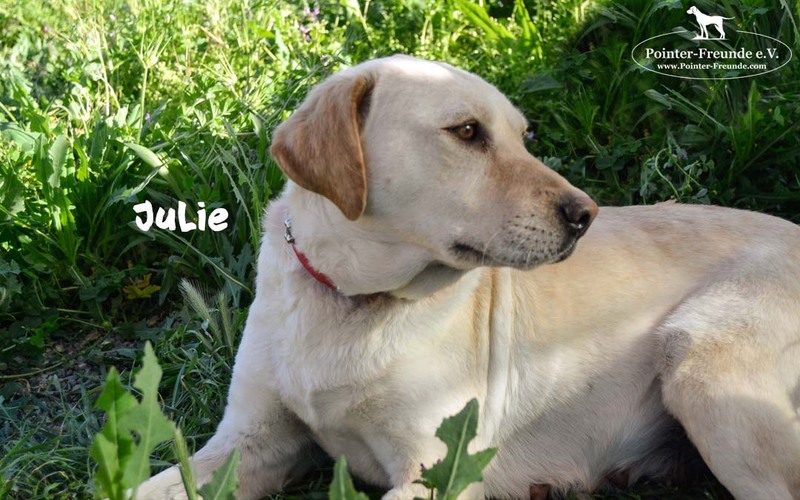 If JULIE already stole your heart, please get in touch with us and feel free to ask any questions.